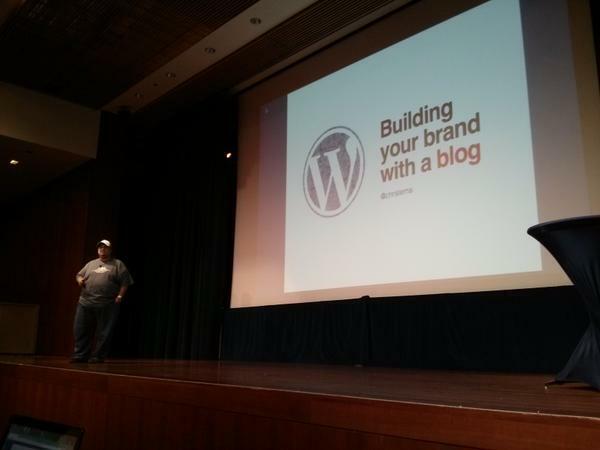 Today I got a chance to share some of my thoughts on building your brand with a blog. No shock that my main point was that if you want to do this, you need to be prepared for hard work. But in practical steps, what I walked thru were six things to care about. Every audience has needs. The questions they have are leading indicators of their intent and destination. And if you know their destination (their hopes and goals), then you know all sorts about what you can write to help that audience. As you start the blog, the key is to answer the questions your audience has. Not necessarily the deep feelings you want to share. Even though no one wants your rant – they do want you. They want your voice and your opinion. So make sure your posts aren’t generic. Embed your opinions in your posts – because that’s what makes you you. I didn’t recommend that people write daily. If you only have one, two or three things a week (or month) to share with your audience (that meets their needs), then make that your schedule. But either way, consistency is key. People are predictable in their desire to hear from you. And they want you to be predictable in your communication too. I recently had a guy send me an email because I missed a day when flying home from Europe and his question was, “What happened? Have you stopped writing daily?” After a single day! Whether you’re loud, strong, quiet, a storyteller, a tutorial writer, a food reviewer or anything else, you still need to find your online voice. The best way to find it is to write. And as you do, you’ll discover whether sarcasm is a tool you want to use. Or stories. Or step by step write-ups. As your audience grows, you might also discover than the channels for your community change. So pay attention to where traffic is coming from. Nevertheless, use every channel on social where you’ll find your audience. These six things are summed up in the slide deck below.